See a Nurse for conditions such as vaccinations, asthma, COPD, diabetes, sexual health, contraception, blood pressure checks, health reviews, wound management, cervical screening, ear syringing and lifestyle advice. We offer a full travel advice and immunisation service. If you are travelling abroad please complete and submit the travel form in plenty of time (we recommend 8-10 weeks) before your journey. We operate and run care, support, information and advice services for vulnerable people across Hampshire and Dorset. We have over 30 years experience in the work we do, with specialist knowledge on how to support people experiencing homelessness, domestic violence and abuse, disability and mental ill health. Support for men and women who have experienced domestic abuse. he Princess Royal Trust for Carers in Hampshire is part of a network of 144 Carer Centres in the UK. 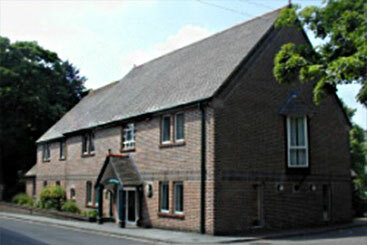 The network is co-ordinated by The Carers Trust. At these clinics trained and experienced members of the health visiting team are available to discuss and support you in any aspect of a child or family’s health and wellbeing. This includes sleep, behaviour, toilet training, feeding, healthy weights, minor illnesses and more. Healthier Together provides you with information to help keep your child safe and healthy, as well as helping you decide what to do when your child is unwell. Inclusion Recovery Hampshire (IRH) is for anyone aged 18 or over who is using, or affected by the problems associated with drugs and/or alcohol. A county-wide community engagement treatment service offering specialist substance misuse treatment to young people under 18-years-old and targeted substance misuse interventions and support for young people aged 11 to 16-years-old within educational settings. italk is a free service for patients with depression, anxiety or stress. We are an Improving Access to Psychological Therapies (IAPT) service, which is delivered in partnership between Solent Mind and Southern Health NHS Foundation Trust. Moodjuice is an Internet site developed by Choose Life Falkirk and the Adult Clinical Psychology Service, NHS Forth Valley. The site is designed to offer information, advice to those experiencing troublesome thoughts, feelings and actions. We are a team of diabetes specialist consultants, nurses, dietitians and educators. We bring specialist diabetes care closer to home at a variety of local community hospitals and GP surgeries. Day care provides the opportunity for over 50s to stay connected to their local communities and expand their interests and social networks. It plays a vital role in supporting people throughout their ageing journey, enabling them to remain independent and active for as long as possible. This is a local service provided by The Alzheimer’s Association and Andover Mind, to support anyone with a diagnosis or people with suspected dementia. Various other sources of help can be accessed by talking to this Service. This is provided by The Alzheimer’s Society at The Guildhall, High Street, Andover, SPIO INT on the 3rd Monday of each month, from 14.00 – 16.00 hours. Information on living with dementia and details of other local services can be obtained by calling in at the Cafe. Hampshire Hospitals Maternity Centre, Andover, is staffed by an experienced and enthusiastic team of midwives and maternity health care assistants, together with administrative and domestic support. We are a free NHS service, helping people in Hampshire who want to stop smoking. Here you can find out what we do and why it’s so much easier to kick the habit with us than by yourself. GPs in west Hampshire are supporting a campaign to get people walking more.